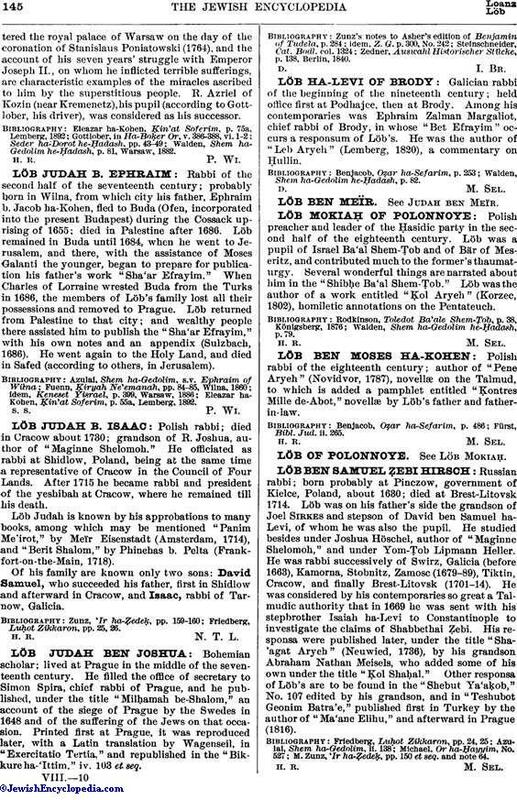 Polish rabbi of the eighteenth century; author of "Pene Aryeh" (Novidvor, 1787), novellæ on the Talmud, to which is added a pamphlet entitled "Ḳontres Mille de-Abot," novellæ by Löb's father and father-in-law. Fürst, Bibl. Jud. ii. 265.